Fine. 100% Money Back Guarantee. Brand New, Perfect Condition. We offer expedited shipping to all US locations. Over 3, 000, 000 happy customers. Text in French. Glued binding. 447 p. Le Livre de Poche. New. 100% Money Back Guarantee. Brand New, Perfect Condition. We offer expedited shipping to all US locations. Over 3, 000, 000 happy customers. Text in French. Glued binding. 447 p. Le Livre de Poche. Good. Ne tirez pas sur l'oiseau moqueur (Le Livre de Poche) by Lee, Harper, 2006-08-23. Text in French. Glued binding. 447 p. Le Livre de Poche. Very Good. 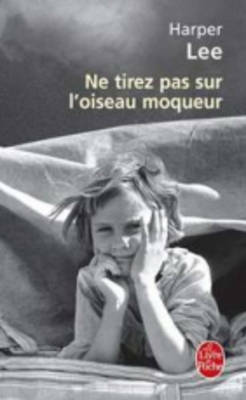 Ne tirez pas sur l'oiseau moqueur (Le Livre de Poche) by Lee, Harper, 2006-08-23. Text in French. Glued binding. 447 p. Le Livre de Poche.